Home » gifted » parenting » Should We Accelerate Our Gifted Child? I am joining with other bloggers writing on the topic of giftedness in the monthly blog hop. This time the topic is “acceleration”. My post is about handling questions of acceleration in public school settings. I will leave songs of obvious homeschooling benefits to the other bloggers in our group who have personal experience with that path. American Psychological Association agrees in this article on academic acceleration saying that skipping grades or working ahead in a particular subject--can be one of the best methods to meet the needs of gifted youth. While not a panacea, acceleration gives students access to true peers and challenging work. However, they also say that students can struggle when they are accelerated without effective study habits, access to similarly talented peers and a supportive family or encouraging mentor, such as a teacher or counselor. 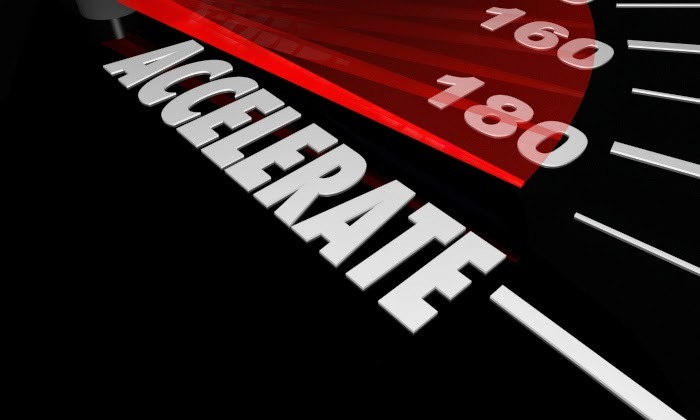 Could Academic Acceleration Be a Race to Nowhere? When our children were still in preschool, my friend and I went to see a very thought-provoking movie – Race to Nowhere. It was filmed here in Silicon Valley and explored a culture of high achievement and high stake testing that drives children to depression and even to suicide. You can watch trailers from it here. My friend also has a very bright son who is one year older than Smarty. He goes to a public school in a highly competitive school district, and she was telling me recently how much time kids spend on homework and busy work that is supposed to prepare them for future achievement. 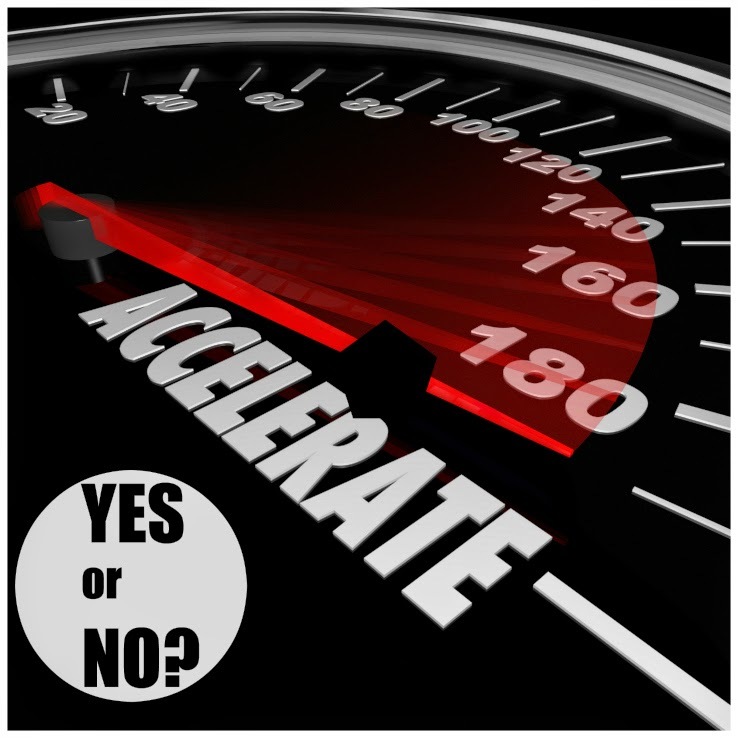 So, when you consider acceleration for your child, you need to ask yourself the same question I asked in my post on dilemma of gifted testing – Why do you want to do this? 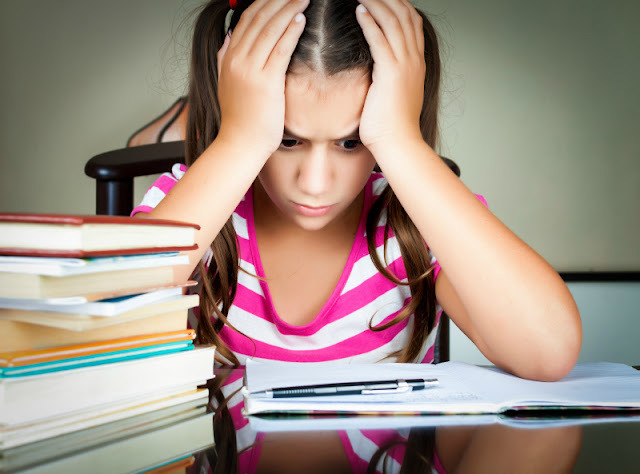 Is your child very unhappy and disengaged? Could it be that he or she struggles with some other issues, such as sensory processing, which might make it difficult for children to be “present” in the classroom? How socially adept is your child and can he or she stand up for themselves in front of older children? Does he or she have study habits and organizational skills needed for higher grades? Simply speaking, acceleration has to benefit the child, not to bring him or her to the breaking point of stress. Acceleration is the topic that we thought long and hard about, especially last year when Smarty was not happy in school. We met with our school principal several times, and she asked if we would be interested in “skipping” Smarty one year. My husband and I discussed it at length and also asked our 7 year old for an opinion. She did not want to do it. Despite being bored in the classroom, she enjoyed social aspects of it and had a lot of friends in her year that she wanted to hang out with. Also she was fixated on learning cursive and worried that she would miss something too important for her future success in school. From our point of view, we were focused on letting Smarty have her childhood. She is not exactly a driven child and she enjoys leisurely time that she has at home – time to read, daydream, and try things of her choosing. Her homework takes her 10 minutes to complete, and we have no desire to move rapidly to the grades where it will require more time. Also, technically, she is already accelerated. She started school at 4, 2 months shy of her 5th birthday, and she is the youngest child in her grade. Moving her one more year up would mean that she would be 10 starting middle school, and only 13 in high school. We do not want her to grow up too fast – and so we chose to keep her where she is now – perfectly happy this year in the third grade within a gifted cluster and making friends with her age peers. In short, acceleration is working ahead. A well-constructed enrichment is exploring the material deeper and could also be very beneficial to gifted children. Our school groups children in language arts, and verbally gifted third graders have their own language arts group where they read more complex stories and learn to do some computer research. Unfortunately, math classes are not constructed that way, but our teacher uses materials for independent work where children can choose work on their level. This comes with a caveat that some gifted children might deliberately choose work below their abilities (some in Smarty’s class certainly do! ), but our daughter enjoys math challenges and is motivated to choose harder tasks. She also attends after school GATE (gifted and talented education) program for grades 3-5 twice a month where she gets a chance to mingle with older students while working as a team and solving problems together. If you don’t have access to enrichment classes through your public school, you might do some research and consider online programs such as Stanford Educational Program for Gifted Youth. This post was written as part of Hoagies Gifted Blog Hop series. Follow Hoagies Gifted on Facebook and join the conversation on acceleration for gifted kids. Two personal experiences - one was my sister who skipped 8th grade and one of K's friend was accelerated so she's 7 and in 4th grade. They were both socially mature. It worked for them! But if the child is not socially mature, it may be difficult to adjust. I have witnessed both positive and negative reactions to acceleration. Each child is different. You point out beautifully how to evaluate the need, and the importance of respecting your child's developmental and social/emotional needs. What is critical, though, is that school systems allow children to accelerate if they need it. My parents made a similar decision to yours with my older brother. His teachers wanted to skip him ahead when he was in the 1st grade - but he was already the youngest in the class. They left him where he was, gave him extra work, and let him help with younger students along the way...he took an early graduation from high school, and was involved in lots of extra-curricular activities, and it all worked well for him. Having been accelerated as a child,(skipping 3rd and 8th grade) and graduating college at age 15, I would not recommend it for anyone. There are too many enrichment options today that weren't available when I was younger! My son is in Kindergarten and totally bored with single digit addition and other topics that they are covering. He is learning that he needs to get along with other kids and some of the basics of dealing with kids in an education setting. I almost think that the social part of the setting is more important. I do extra work with him at home which is extra learning. I don't want him in with the next grade even if they are closer to what he would learn. I think that it is best to teach them patience!! As a kid, I was annoyed that two of my siblings (the other two who went to Stanford, in fact) were allowed to skip a grade and I was not. School was boring and I was an ambitious kid with lots of things I wanted to be doing and places I wanted to go. Looking back as an adult, though, I think that my siblings often had a harder time socially (although they both did okay), and I had more time to just be a kid than they did. As a parent, a worry a lot that Our society is focusing on ways to get kids to do academic tasks earlier without thinking about the possible cost of missing out on typical childhood experiences. You are never too old to learn academics, but you never get to re-experience childhood. My daughter (grade3) will be starting in the "gifted" or "enriched" program next year. This involves smaller class sizes and all "gift" children exploring the grade 4 curriculum deeper and with varied approaches to the "regular" classroom. I have to say, that since kindergarten teachers have been telling my daughter to simply "read ahead" in math and she spends most of her day reading on her own. We are really looking forward to next year. I hope that the enriched program will provide her with the depth of study that she needs and the social environment that helps her stay engaged in school. I fear acceleration might result in a child feeling socially "out of place" and thus impact their ability to learn. I was the kid on the verge of being in most of those classes, so I always found it annoying to be excluded, until high school and I was finally in the slightly lower level which was perfect. Everything I heard from the people in the TAG classes was lots of busywork, which I hate with a passion. You have really presented a well-written and researched post! I skipped first grade and never felt it harmed me. I didn't want more busywork and I was able to keep up with students at my grade level. My grandson, who we are raising, was tested on the Wech & SB @ 150 and is cruising through 2nd grade. We give him extra work at home that I print out from different sites. School is not a challenge and it seems this is yet another wasted year. Gifted program one day a week is not enough. Acceleration was discussed at one time but no action taken. Trying to get into PEGS however there are other obstacles like if there will be room this coming year. I really don't have a plan B. We are fortunate that our school system allows single subject acceleration, so we were able to take advantage of that for my son. He skipped 5th grade math, and through advanced classes will be done with middle school math at the end of his 6th grade year. This has helped fight the boredom and move him forward in his favorite subject but keep him with his age group. There are enough kids in his school that are advanced that he has always been able to stay with kids his age, even in math.